Tim Keel, of Jacob’s Well church, joins us from Kansas City with much goodness to share about his sermon preparation workflows in our longest interview to date. He shares about the importance of good tools to capture ideas, the value of regular study leaves, and his need for tacticity (yes, I may have just created a new word) through white boards, paper books and plain old copy paper. Tim Keel is the Senior Pastor at Jacob’s Well Church in Kansas City, Missouri. 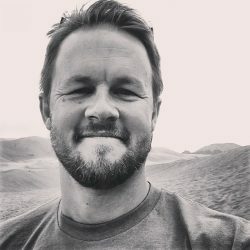 After spending 11 years as the founding pastor of Jacob’s Well, Tim and his family moved to Auckland, New Zealand (January 2010), where he was the Senior Fellow for Congregational Studies at Laidlaw College. He returned to Jacob’s Well in 2011 and is excited to be a part of the community once again. Tim is married to Mimi and they have three children: Mabry, Annelise, and Blaise. Tim has a BFA in Design and Illustration from the University of Kansas and a MDiv from Denver Seminary. He is the author of Intuitive Leadership: Embracing a Paradigm of Metaphor, Narrative, and Chaos and a forthcoming volume on Ecclesiastes in the Resonate Bible Commentary series from Intervarsity Press. Thanks for the reminder. I’ll see if we can get those tracked down and posted.